Do you want to give yourself a makeover? Are you looking for professional advice for your skin and hair, clothes and makeup? Well if you answered yes to either or both of these questions, your answers are in the newly launched new season of the show Get The Look on NDTV Good Times. The best part? Get The Look gets a whole new look this year. Being the longest running fashion makeover series on Indian television, the show is donning a whole new avatar this season. And this comes from the fact that this season is all about celebrating cutting edge Indian style by exploring Indian fashion with a fresh perspective that of The Global Desi. 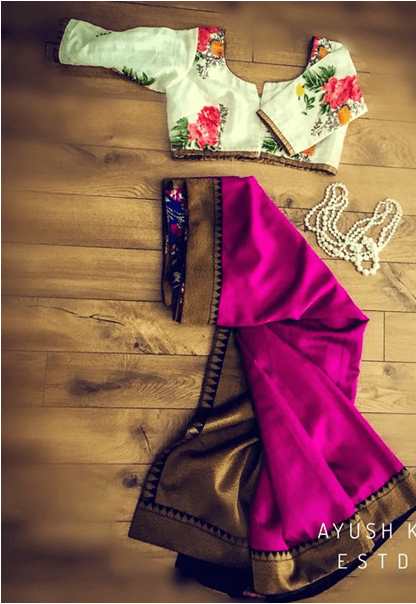 The 13 part series will work with getting 13 people who are willing to step out of their comfort zone and make wearing Indian a part of their style palette. Each episode will fix a mix of runway trends, new quirky young brands, accessories, home remedies, DIY’s, Hair, Makeup and Beauty tips to tell viewers about the textile of the week and how it can be worn in different silhouettes. “What is going to be interesting for the audience in this season is that they can understand their mother’s wardrobe better. For instance, no one would know that Patan Patola is so expensive. We were shooting and I found that a Paithani Duppata costed Rs 2.6 lakhs! I am sure people will have more respect for their mother’s wardrobe,” says Ambika. In this show, Ambika will also be wearing only 100% handloom and says that they will be working on handloom stories and hair care and skin care stories for men as well in a segment. In every episode Ambika and a stylist find a quirky store in the city and source the latest trends from them so I ask Ambika if there is a memory from the shoot she can recollect on top of her head. “I am constantly fascinated that how small stores have so much to offer. A shop I really liked was Nimai in Shahpurjat and they have put together Indian and international jewellery brands under one roof.” Dr. Kiran Lohia will help with skin treatments and tips to participants and viewers will be given tips on hair styling, colouring, extensions, accessories makeup and quick fixes. The designers and other partners for this season include dermatologist Dr. Kiran Lohia, Designers Rajesh Pratap Singh, Sanjay Garg, Monica and Karishma, Gaurang Shah and Rohit Bal, Stylist Mohan Neelakanthan, Hair Expert Rod Anker and Make-up artiste Vidya Tikari are partnering on the show to give the chosen 13 a complete makeover. So are you ready to go desi and rock? Get The Look on NDTV Good Times airs on Thursdays. This story appeared in the April 2, 2017 issue of Deccan Herald’s Sunday herald here.